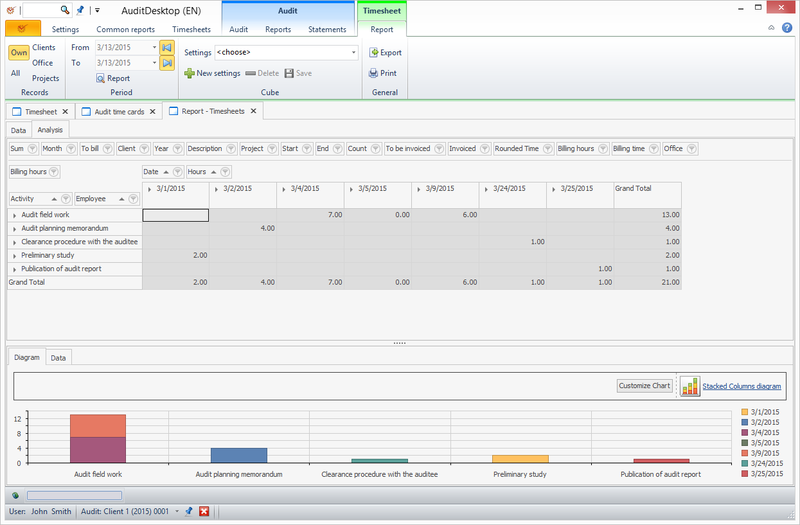 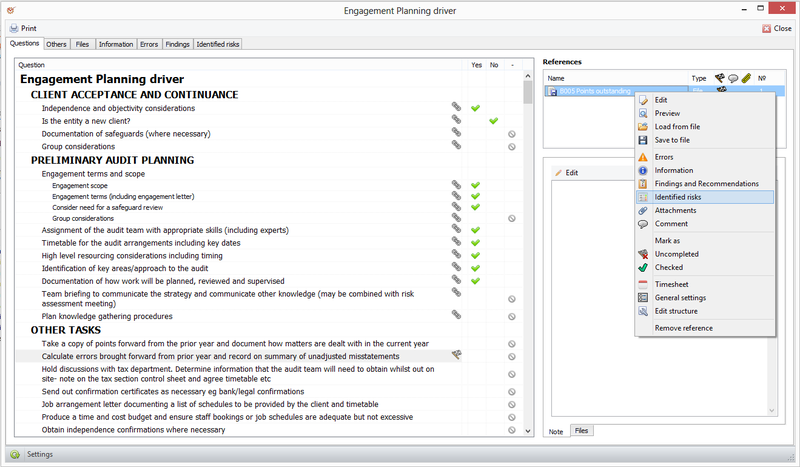 New features in the release: Preddefined engagement plan, Offline work, Task assigning and tracking , Calendar with Events. 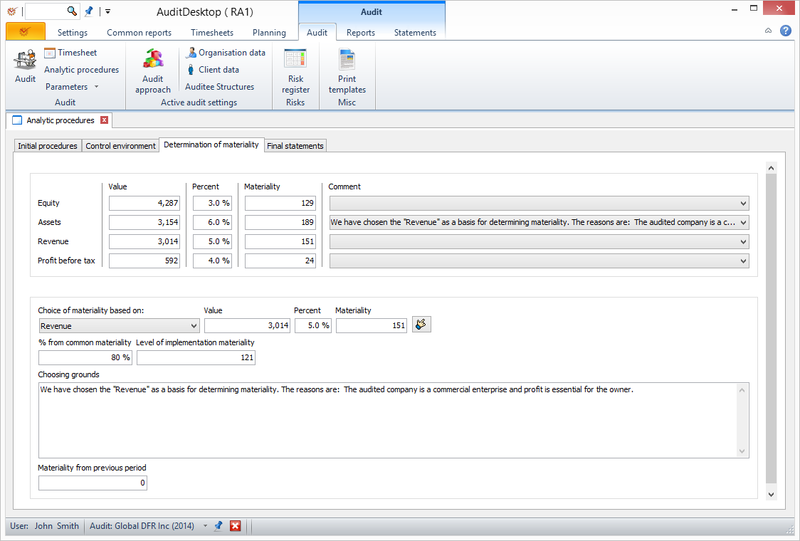 We are releasing a new update for AuditDesktop - version 2.1.1. 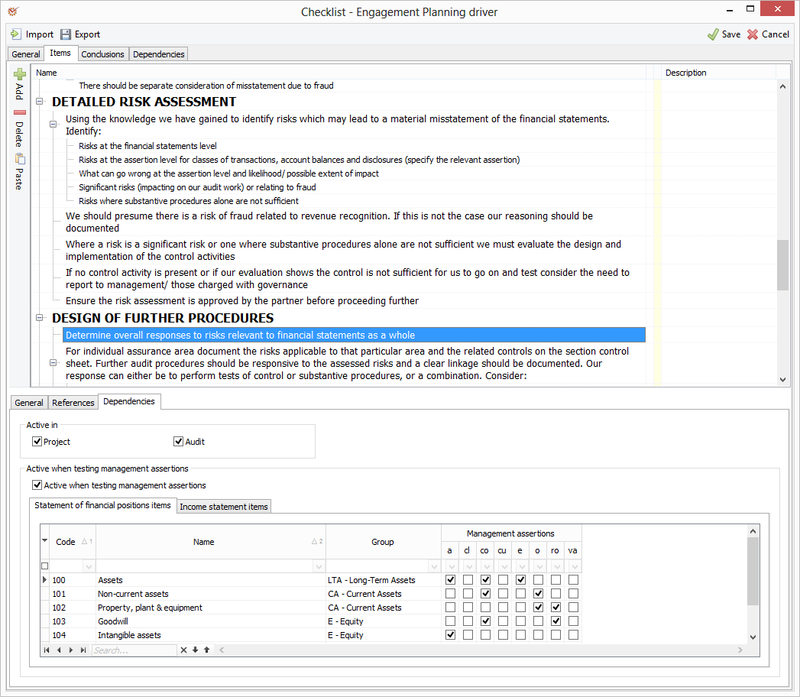 When opening a completed or checked document, fill in only parameters related to the document's creator or reviewer, as well as parameters related to the document itself (errors, findings, information, etc.). 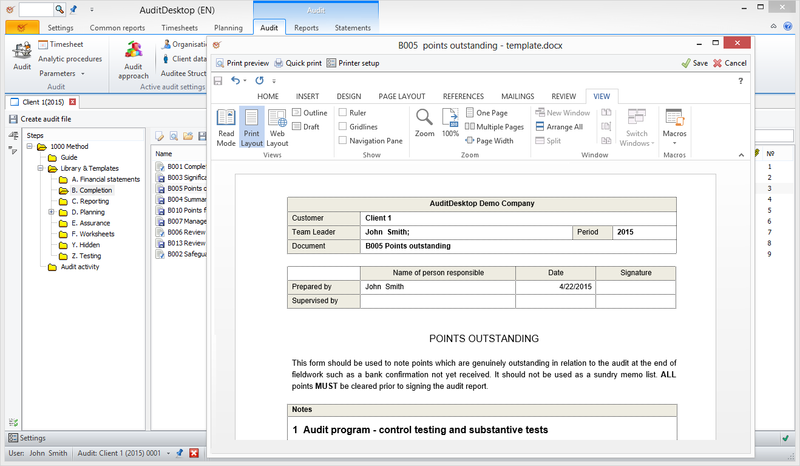 The new parameter added to the documents is the company logo. 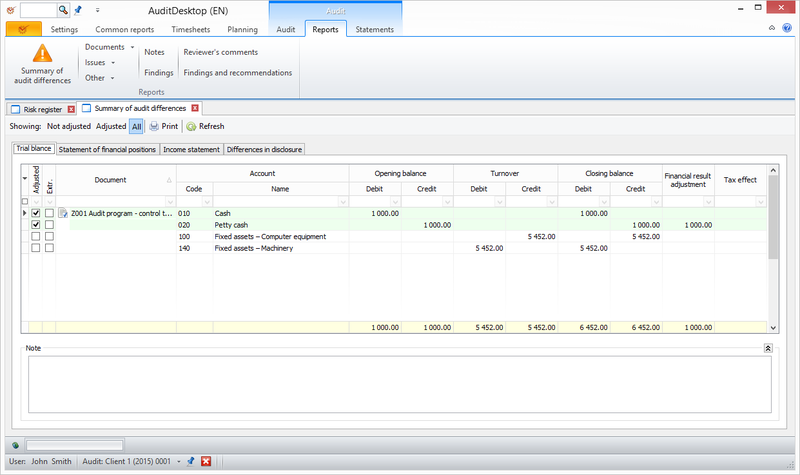 The new parameter added to the documents is a table. 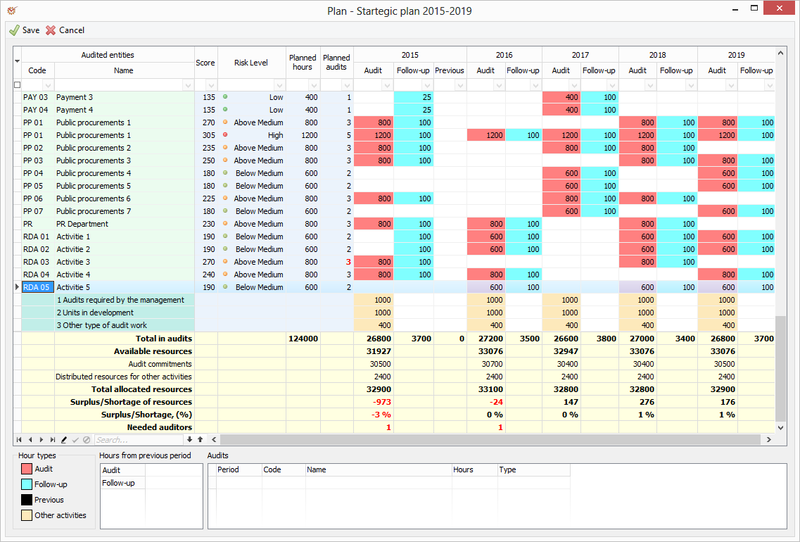 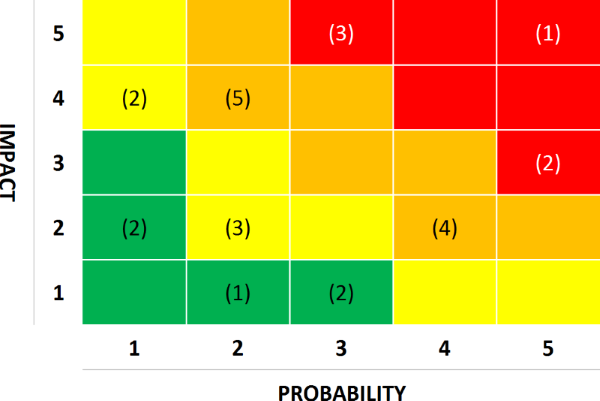 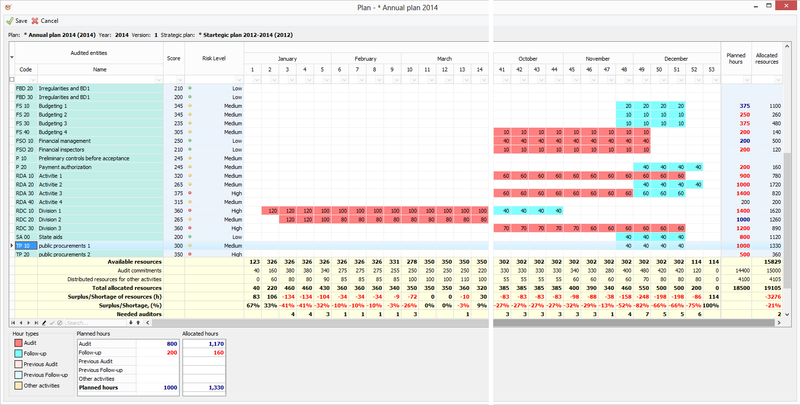 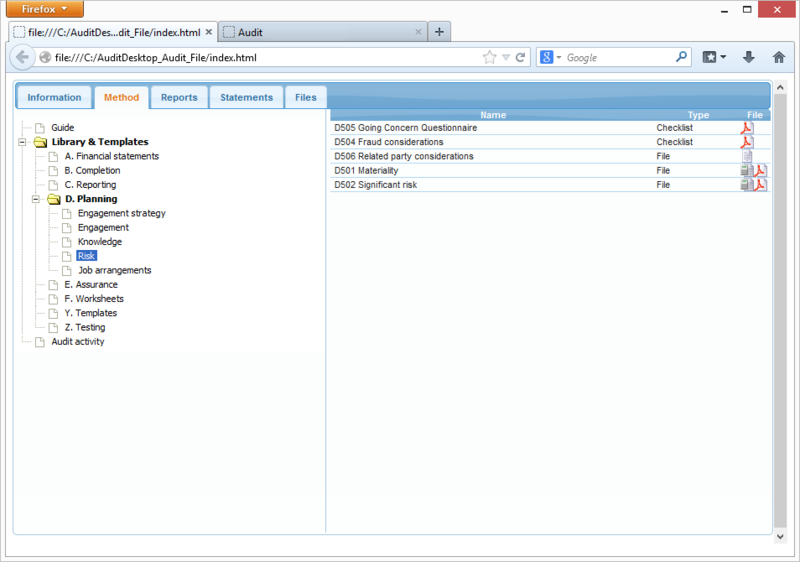 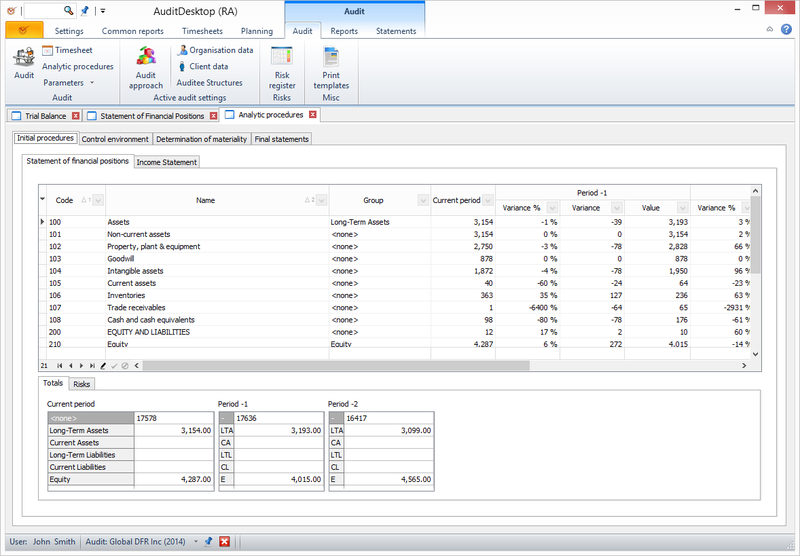 It fills in audit data in a table format in the document. 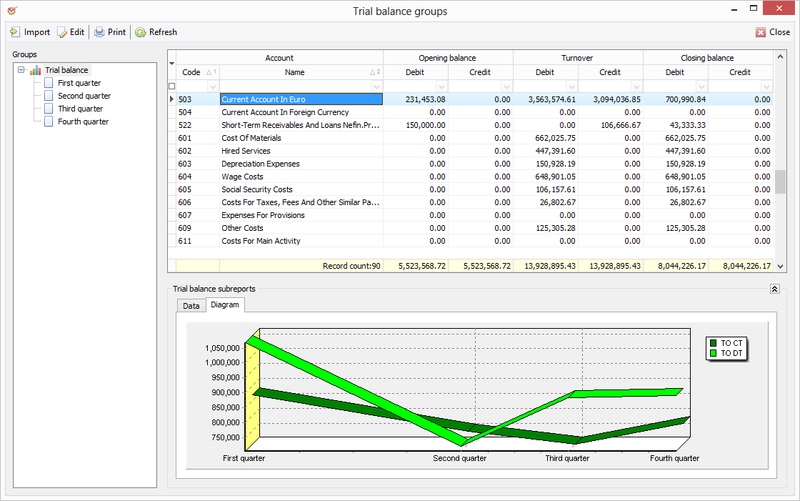 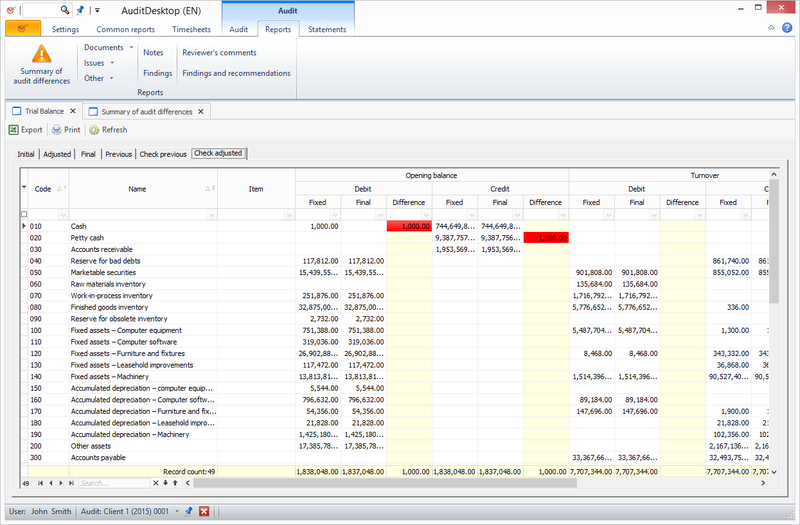 Only data from the trial balances (initial, adjusted, final, previous) are available in this version. 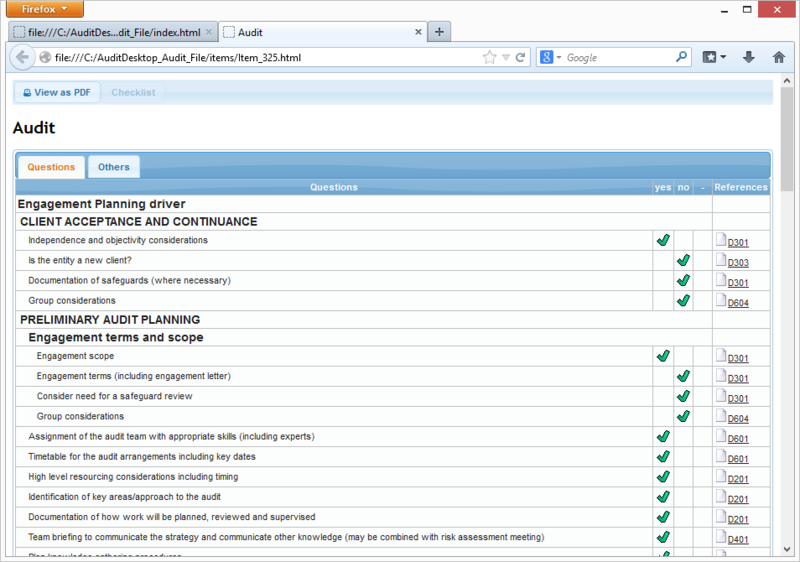 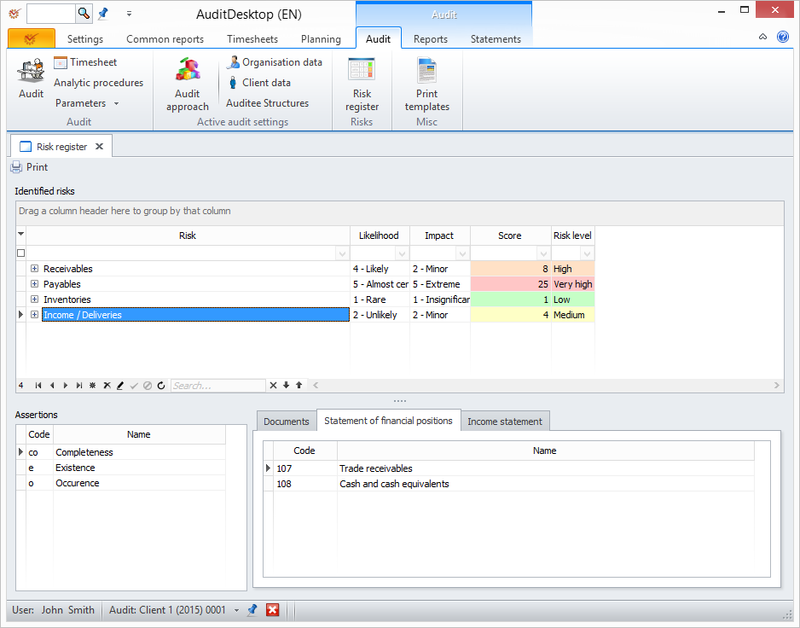 We are releasing a new update for AuditDesktop - version 2.1.0. 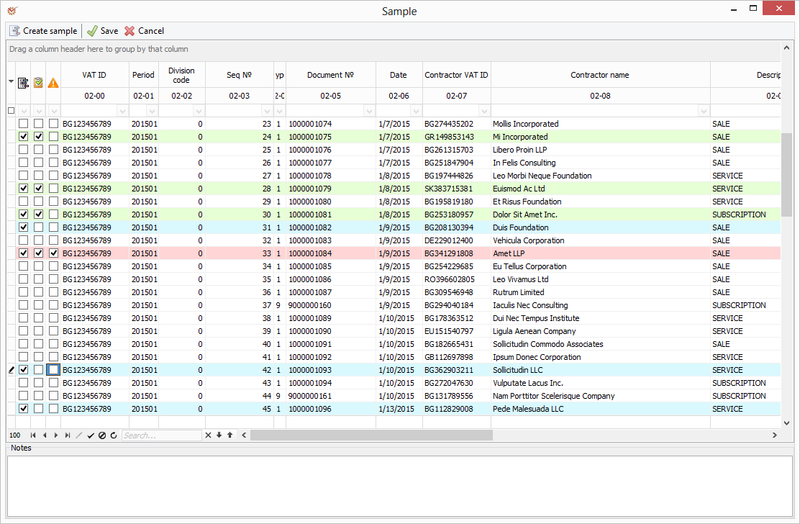 Filling in parameters into documentsWhen viewing or saving documents which have been marked as completed or checked their parameters will not be filled in. 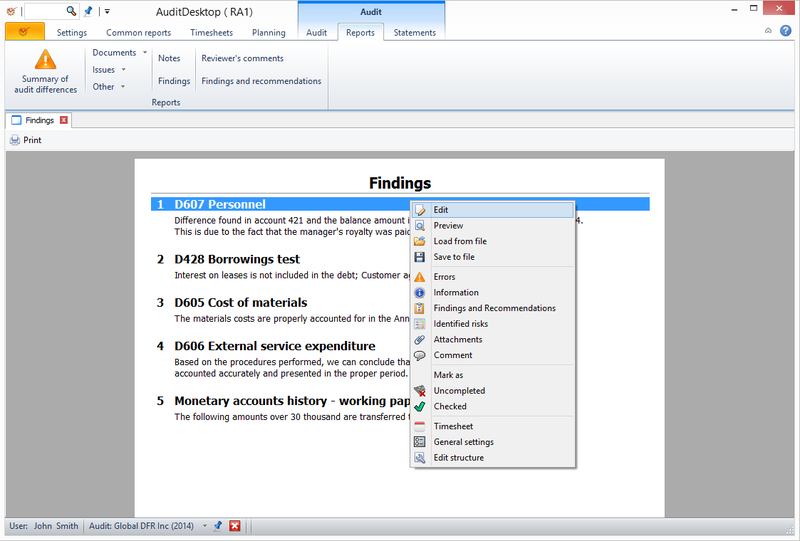 Support for the old MS Office 2003 and 2007-2013 modules for parameters has been discontinued.